For anyone living an active lifestyle, having everyday access to a golf centre along with tennis and squash courts, is most certainly a dream. Yet Missisauga’s Skymark West furnished rentals brings this dream into reality with so much more including a fitness centre and indoor swimming pool. With a therapeutic whirlpool and sauna rounding out the exceptional list of amenities, there’s hardly a reason for guests to leave this 34-story building unless of course they want to. Let’s face it, golf is not for everyone, but if a business meeting or charity event means that you’ll be stepping onto a local course, Skymark’s golf centre’s driving cage and putting green gives you the opportunity to practice your long and short game. With the weather in Toronto finally warming up, the idea of getting your fitness fix outdoors is even more appealing and Skymark’s private tennis courts make it easy to do just that. The courts availability is on a first-come-first-serve basis and must be booked in advance. Even on days when the weather’s not cooperating with your plans, you’ll still be able to stay active inside Skymark’s fully equipped fitness centre. From cardio equipment to a selection of free weights, the bright and lively nature of this space will help you stay motivated right through your entire training session; we promise. Whatever the weather, opting for a dip in Skymark’s indoor pool will undoubtedly make you feel as though you’re on vacation; even if you’re not. 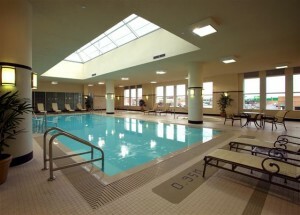 In fact, the pool offers a family friendly atmosphere that’s the perfect way to beat the heat on a sweltering summer day. 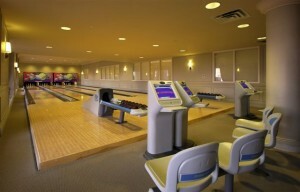 Young families may also enjoy a little friendly competition at Skymark’s bowling alley. With four lanes available, it’s also the perfect venue for hosting a few friends. Along with these outstanding amenities, Skymark’s spacious one- and two-bedroom furnished suites in Mississauga are equipped with everything you’ll need during your stay. As an added benefit, guest suites are also available at an additional cost for visiting friends and family. When you’re staying at a furnished rental apartment, you’re certainly expecting that your suite will be outfitted with the basic essentials; but the idea of luxurious comforts might not be on your radar. 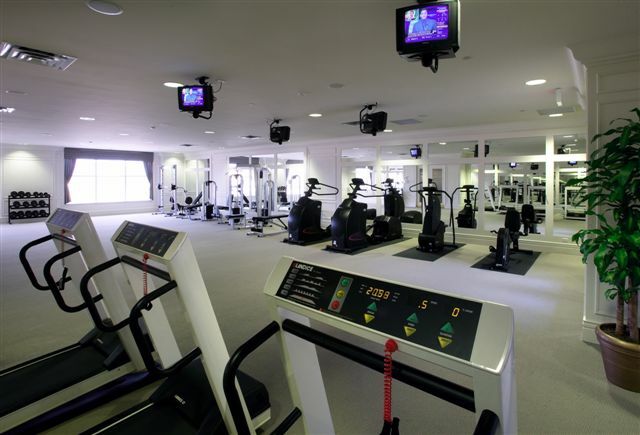 Yet at Skymark West, you’ll find yourself enjoying the host of sport and fitness inspired amenities that are as comfortable and convenient as your suite.